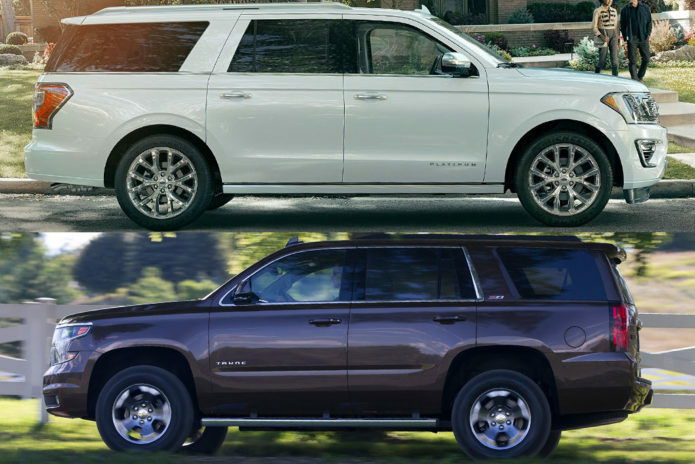 2019 Ford Expedition vs. 2019 Chevrolet Tahoe: Which Is Better? If you want one all-purpose vehicle, it’s hard to beat the versatility of a full-size, truck-based SUV. These big brutes can bring the whole family to the lake with all of their gear in the back, while towing a boat without missing a beat or they can just be your everyday commuter and grocery-getter. They might not be great on gas, but these big SUVs seem to excel in just about everything else they do.